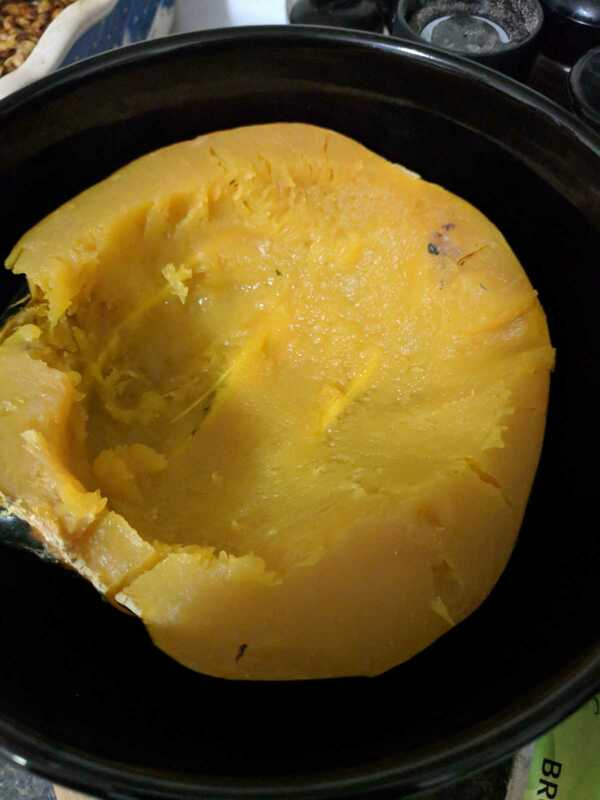 Place squash face down on a pan with a bit of water in the bottom of the pan. Put in the oven for about 50-60 minutes. Next, you can chop your veggies, whatever you like or have on hand will do. Sautee them in a pan with a bit of oil until they are cooked. When veggies are just about done, throw in the can of garbanzo beans. Stir together until beans are warmed through. Once the squash is cooked, scoop your stir-fry mix into half the squash. Sprinkle with a few seeds if you choose. Enjoy!